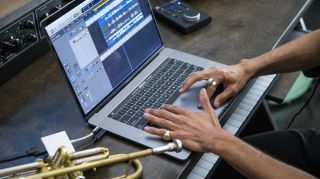 Recent years have not been kind to Apple's MacBook keyboards, so much so that the company has apologized for them once again in comments to the Wall Street Journal (WSJ). Apple made its MacBook laptops slimmer with a low-profile 'Butterfly' mechanism for keyboards as far back as 2015, but there were issues with key presses not registering and keys getting stuck, and the second generation of the mechanism seemed to make matters worse. As problems persist in Apple's third generation MacBook keyboards, another company spokesperson has publicly addressed the issues. The spokesperson said to the WSJ that the company is "aware that a small number of users are having issues with their third-generation butterfly keyboard," and that the company is sorry. But, the spokesperson also said, "the vast majority of Mac notebook customers are having a positive experience with the new keyboard." After Apple introduced the low-profile Butterfly mechanism for its MacBook keyboards in 2015, there was no shortage of reports on issues with them. The issues were enough that California filed a class action lawsuit against Apple, alleging that the company knew of the issues and released the products anyway. The third generation of these Butterfly keyboards tried to solve the earlier issues with a membrane to keep out debris. But, as perhaps may not surprise anyone at this point, problems with the butterfly keyboards persist. YouTuber Lewis Hilsenteger of the Unbox Therapy channel demonstrated the issue on a 2018 MacBook Air. And our own sister site LaptopMag has seen Butterfly keyboard issues as well. Fortunately, for anyone suffering from an issue with the third-generation Butterfly keyboards, Apple's warranty should still cover your machine. Unfortunately, it doesn't sound like the problems are going away soon.